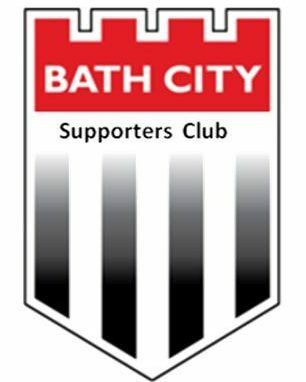 The name of the association shall be The Bath City Supporters’ Club (1998) and which shall hereafter be called the ‘Supporters’ Club’. To assist in the promotion and encouragement of social, financial and other interests of Association Football in Bath and, in particular, of Bath City Football Club which shall hereafter be called the ‘Football Club’. To act on behalf of the supporters of the Football Club and, in particular, those supporters who have elected to become members of the Supporters Club and shall hereafter be called the Supporters Club. To promote opportunities for all supporters of the Football Club to meet the players, the management and members of the Board of Directors. To raise funds by means decided by the Management Committee of the Supporters’ Club to be used for the benefit of the Football Club and for the promotion of the objectives. To do all such other lawful things as are incidental or conducive to the attainment of the above objectives. To meet and liaise with Bath City Supporters Society. To pursue representation on the board of Bath City Football Club. Membership is open to all supporters of the Football Club. Candidates for membership shall be elected by completing an application form and forwarding it with at least the appropriate minimum annual subscription to the Management Committee. The Management Committee reserves the right to refuse applications or expel members whose actions do not represent the objectives of the Supporters’ Club. A minimum Annual Subscription shall be proposed and agreed by the Management Committee. No person shall be permitted to hold more than one of the above positions. The Management Committee of the Supporters’ Club shall comprise the Officers of the Supporters’ Club plus up to seven elected members from amongst Supporters Club members. Members of the Management Committee shall be elected bi-annually on a staggered basis at the Annual General Meeting. Members of the Management Committee may be co-opted from amongst the Supporters in exceptional circumstances. Any member co-opted shall serve on the Management Committee for the remainder of the year up to the next Annual General Meeting and then for one further year. The Annual General Meeting of the Supporters’ Club shall be held in the Summer each year to enable the end of season accounts to be produced. To receive from the Management Committee a report, balance sheet and audited statement of accounts for the preceding year which shall end on the last day of the season prior to the Annual General Meeting. Any Supporter wishing to move any resolution at the Annual General Meeting must give notice to the Secretary not less than fourteen days prior to the said meeting. The Management Committee shall also call an EGM if a minimum of 15% of the Supporters make a written request for such. A quorum will be formed by all of the Supporters whose names are contained in the written request for an Extraordinary General Meeting plus a corresponding number of Supporters whose names are not included. General Meeting to all Supporters. At all meetings of the Supporters’ Club the Chairman shall take the chair. In the absence of the Chairman the vice chairman will chair the meeting. With the exception of an amendment to the Constitution, every Supporter Club member present shall be entitled to one vote upon every motion and in the case of equality of votes, the Chairman shall have a second, or casting vote. Voting for Management Committee Members. By Paper vote and every Supporter present shall be entitled to vote for as many candidates as there are vacancies to be filled. All requests for financial help from Bath City Football Club should be put in writing to the Committee. This request will be discussed at a Supporters’ Club Committee and a democratic vote taken. No request verbally submitted will be considered. There will be NO exception to this rule. The Management Committee shall be the sole authority on the interpretation of the Constitution and Rules. The decision of the Committee upon any question of interpretation of the Constitution and Rules, or upon any matter affecting the Supporters Club not provided by the Constitution and Rules, shall be final and binding on the Supporters. The Constitution and Rules may be added to, repealed or amended by any resolution at any Annual General Meeting or Extraordinary General Meeting by a two thirds majority of the Supporters present at the meeting. The Membership will be represented at shareholders meeting by one of the two trustees. Voting decisions will be made by the Management Committee at the precursor committee meeting before the voting date. Selling of shares will be put forward to the membership at an AGM or EGM. Every Supporter present shall be entitled to one vote which will occur by paper vote or by proxy vote.